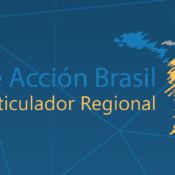 The Brazil Plan of Action, adopted by 28 countries in Latin America and the Caribbean in 2014, defined specific actions to strengthen protections and sustainable solutions for refugees, forcibly displaced people and stateless people in the region. 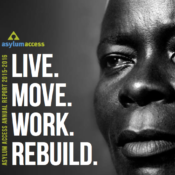 Marking its third anniversary, the Regional Working Group for the Brazil Plan of Action (GAR-PAB), of which Asylum Access is a member, published this report analyzing the challenges and best practices for each area of the plan of action. 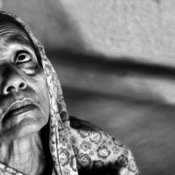 Starting on page 88 of this report by Equal Rights Trust, the Asylum Access Malaysia team provides insight on the Rohingya in Malaysia, including the legal protections in the form of citizenship, employment rights and liberty and security of persons, considering both the application of international and domestic laws, and concluded with a set of recommendations. 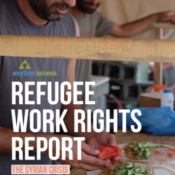 Refugee Work Rights Report: the Syrian crisis and refugee access to lawful work in Greece, Jordan, Lebanon and Turkey. In today’s world refugees remain in exile for ever increasing lengths of time as conflicts endure. Indeed, the average duration of a protracted refugee situation is 26 years. It is reasonable to assume that the Syrian refugee crisis will be no exception. Because of this, Syrian refugees need long-term solutions, now. This report examines the experiences of refugees in a sample of four countries affected by the Syrian refugee crisis: Greece, Jordan, Lebanon and Turkey. It is a companion report to the website on Refugee Work Rights, an interactive mapping of refugee access to safe, lawful work in more than 20 countries worldwide. Visit www.refugeeworkrights.org View online. In Africa, Asia, and Latin America, we’ve proven we can put refugees back in control of their lives and give them the power to contribute to their host communities. Read about this year’s highlights in our 2015-2016 annual report. View online. 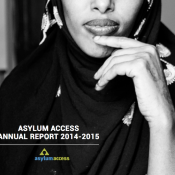 2014-2015 has been an exciting and challenging year for the Asylum Access team. Our accomplishments include providing legal information, advice and representation to 20,000+ refugees and launching country operations in Malaysia, Panama, and Mexico, as well as a regional hub based in Ecuador. View online. 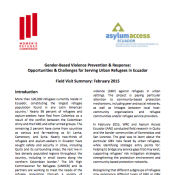 This field assessment, carried out by the Women’s Refugee Commission and Asylum Access Ecuador, identifies the particular GBV risks faced by urban refugees in Ecuador. It identifies strategic entry points for: bridging service gaps, supporting refugees’ risk mitigation strategies, and strengthening the protection environment.